Ideal Credit Union has launched a new Zero Down Mortgage product, the first of its kind in the local mortgage market place, which gives prospective home buyers another flexible option to achieve their dream of owning a home. Ideal Credit Union has launched a new Zero Down Mortgage product which gives prospective home buyers another flexible option to achieve their dream of owning a home. This is a great differentiator for Ideal CU in the mortgage market space; there are no other lenders in our market place that offer a program of this nature. - Faith Tholkes, VP of Mortgage Operations. Ideal Credit Union offers a full range of mortgage solutions to fit the needs of borrowers, including fixed rate, FHA/VA, adjustable rate, refinancing options and more. Ideal CU also offers the HomeAdvantage® program, an exclusive, free service that can help users search, buy, sell and save on their next home. 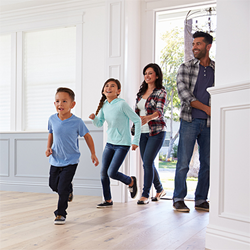 HomeAdvantage provides the tools and expertise needed to find and finance a home, and offers an attractive a rebate program that enables home buyers to earn cash back at closing. Since its inception, the HomeAdvantage program has paid out over $180,000 in rebates to hundreds of Ideal CU members. The average rebate per transaction is $1,140. Members who have a mortgage loan with Ideal also can earn VIP+ status if they meet other qualifying criteria. Information on the VIP+ program can be found at http://www.idealcu.com.